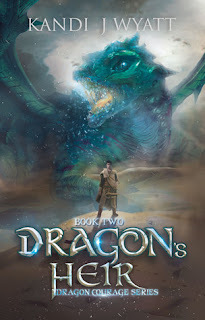 Once again Kandi Wyatt has written a book full of adventures and of course dragons. We meet up with Braidyn who is grown up and determined to locate two stolen nestlings. He manages to find one of them. When he tracks down the thief of the second one, and learns why Sarai took the nestling, things change. Braidyn learns much about himself and what he has been longing for. This is the sequel to Dragon’s Future. Both of these books are must reads, especially for those people who love fantasy, dragons and adventure.